Home > Questionnaires > Questionnaire: Should You Sell or Let Your Home? If you own your own home and are about to relocate, then you have to face the issue of what to do with your property. Should you sell and buy somewhere else? Or should you let it out and then rent in your new location? Or perhaps you should consider selling and then renting while you decide what to do in the long term. 1. How long have you owned the property you will be leaving? A – A long time. My mortgage is low (or I own it out right) and my house is now worth considerably more than I paid for it. B – For a while now – but I have remortgaged and so won’t make much if I sell. C – I bought my property fairly recently. If I sell, I won’t make much. I may even have negative equity. 2. How easy would it be for you to get funding for another property? B – It would probably be OK. I’m not sure what deal I could get but a mortgage is not impossible. C – It might be tricky. I don’t have enough for a deposit and my circumstances are such that I’m not even sure I could get a mortgage. 3. When you compare the affordability of renting in the area you are moving to and paying a mortgage which leaves you better off? A – I won’t have mortgage payments to make – or they will be incredibly low. B – At the moment I’ll probably be slightly better off if I rent. C – Meeting mortgage payments will put me under a lot of stress. Financially, I’ll be better off if I rent. 4. If you let the house you now own will you make enough to pay rent on the place you are moving to? 5. Taking into account its location and the current climate, is your house likely to be easy to let? 6. What are your long-term plans? Do you hope to return to where you are now living or do you expect to relocate permanently? A – The move is likely to be permanent. B – I just don’t know at the moment. C – I want to return. Mostly As – Unless you are incredibly well off and can easily afford to buy a new home in your new location and hang on to your old one, then it sounds as though your best option is to sell. You seem to be in a position where you could see a good profit. If you need a mortgage, it sounds as though you have enough for a generous deposit, enabling you to obtain a good deal. If you don’t think you will ever return to this area to live and selling now will enable you to buy in the new location, then why not? The only reason not to sell would be to retain your existing home as an investment property and to buy another in the new location to live in. Mostly Bs – You need to weigh up all the costs carefully. It sounds as if it might be tight for you to sell now and to buy another home. Have a look round and see what deals are out there. Talk to an independent financial advisor. If it can be done comfortably then consider it seriously. If not, you could either let out your home and then rent in the new location, or sell it and rent for a while until you have decided where you want to be long-term and you have seen how the property market is moving. Mostly Cs – Hanging on to your property and letting it out sounds like the best option for you. 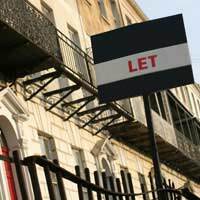 This does mean you will probably need to rent for a while in your new location but that needn’t be a bad thing. You still own a property so have a foot on the property ladder. If you sell now you could be out of pocket. Buying in the new location could put you under a lot of pressure. What you must consider, however, is whether letting your property will bring in enough to cover your mortgage payments, and how your finances as a whole will balance out in those circumstances.